Nothing can spoil holiday cheer like an emergency visit to a veterinary clinic. These seven tips can help prevent a holiday disaster. Make sure your pet doesn’t have any access to treats, especially those containing chocolate, xylitol, grapes/raisins, onions or other toxic foods. 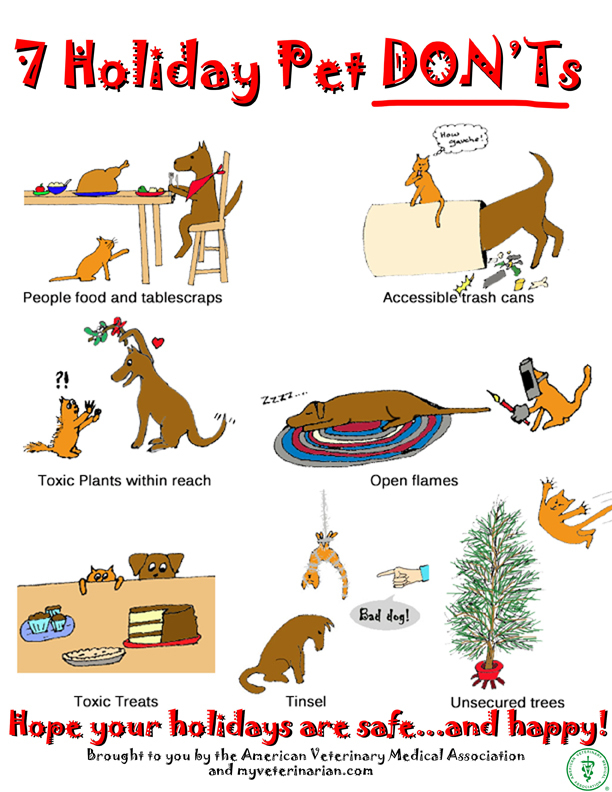 Don’t leave your pet alone in the room with lit candles, a decorated tree or potpourri.